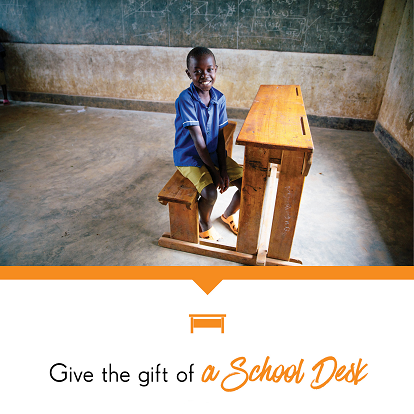 Give children a comfortable place to sit, write and study with a school desk. A school desk dramatically improves the learning environment in a school contributing to the students’ attendance, concentration and performance. When children are forced to sit on the floor and use a wood plank to write, they have a difficult time completing assignments or staying focused, and their overall performance is compromised. 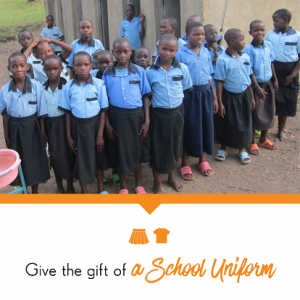 The community of Bufukhula, Uganda used to conduct their school out under a tree in a field. This made schoolwork incredibly difficult. After partnering with FH, they were able to receive a classroom including school desks. These desks helped revitalise education for this community by creating a better learning environment. This year, school desks will be distributed to communties in Nicaragua, Ethiopia, India, Mozambique, Burundi, Kenya & Uganda.